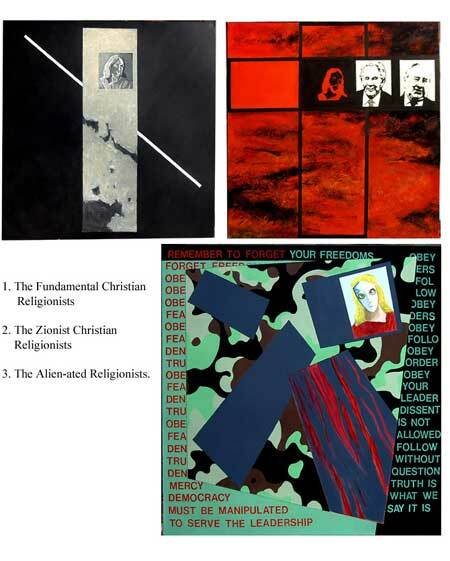 I am a 62-year old artist and retired teacher who has developed a series of paintings in the last five years entitled "Rethinking Christianity, Leadership, and the World in the New Millennium." My hope is that these paintings will initiate a forum on major questions that need to be discussed. I am seeking those who like to collaborate upon the creation of such a forum, through writing, forums with groups, and publications. 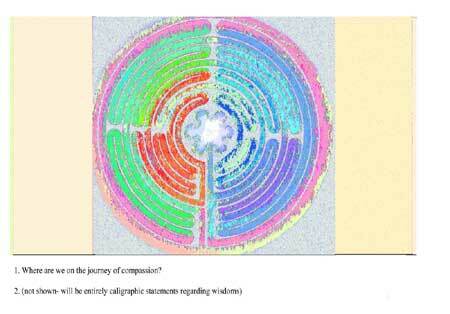 It is my intention to present these images to audiences in spiritual organizations whereby a forum can be created. The forum would be based primarily on the questions that the images bring up. The forum itself could take many forms--discussions among the general attendees of the organizations, public discussions, leadership discussions, web blogs, magazine articles etc. Hopefully at some point there will even be a book with the images and with noted forum discussion comments. Some practical issues. I am building the freestanding displays for these images and will by spring have purchased a trailer to transport them. Many of the images are large, some 78” x 78”, some 12’ x 5’. In all, the 22 paintings require a conference like room about 25 x 30 or larger. 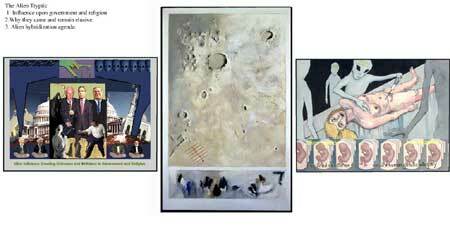 The paintings can easily be hung on both sides of the panels, and the format of the panels can vary. The “forum” discussions itself could be in the same room if large enough, or various discussions on different aspects could be in several rooms. If you are interested in hosting a forum in your spiritual organization, please correspond with me via email at: jimmforeman@yahoo.com, or call me at 870-446-6467, or by mail Jim Foreman, HC 73 Box 10, Marble Falls, AR 72648. The purpose of making distinctions between the perspectives people hold regarding Christ is to consider the consequences each of these perspectives have upon the world. These distinctions exist within Christianity and within other world religions. They are either a major influence toward spiritual “awakening” or represent a major obstacle along that path. These perspectives are the glasses by which people view their life and the world and thereby direct attention towards unity, justice and equity, or become a source of division and injustice. Though people often traverse between perspectives within their lifetime, usually a singular perspective has been emphasized resulting in certain consequences. Each “version” of Christ illustrates the primary perspective a group of people hold toward Christian teachings. The Spiritual/Religious Progressive recognizes: that all people have within them the eternal intelligent knowing Spirit of God. This Knowing Spirit may be called Knowledge, the Christ Consciousness, or by other names but it is the essential eternal aspect of God’s creation and may be regarded as the only true eternal “begotten Son of God.” Few have approached or attained this realization, though now many are called to this wisdom in order to contribute to a world critically in need. All true religions are regarded as a foundation for this endeavor. Hinduism, Buddhism, Taoism, and Indigenous teachings have had spiritual realization as their primary focus. Yet many sects within Christianity, Judaism, and Islam have had mystical traditions towards this goal as well. Problems occur when mysticism is mere imagination and not a genuine spiritual realization from which contribution emanates. Recently, new teachings have been introduced into the world to promote this true spiritual realization, they include: The Second Coming of Christ-the Resurrection of the Christ Within by Paramahansa Yogananda; and the Greater Community Way of Knowledge Teachings by Marshall v. Summers. 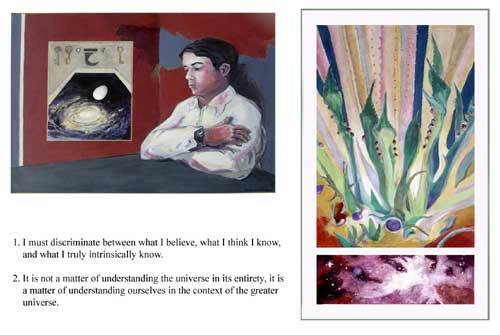 Students of Knowledge recognize as well that the world is now entering into a greater community within the universe, and is experiencing an intervention by alien forces which seek to use the earth’s resources and its’ people for their own purposes. Inner Knowing or Knowledge is the only means by which humanity can maintain its freedom. Therefore, contribution, interdependence of people and nations are no longer merely an ideal but are essential. The nature of the intervention is described in Allies of Humanity by Marshall v. Summers. 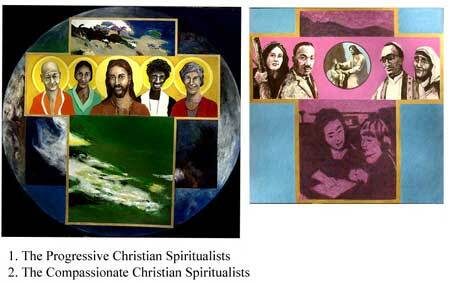 People who emphasize in their lives the emulation of the life of Christ may be considered compassionate spiritualists. Their overall religious orientation may be toward either traditional or progressive teachings; but the actual manner in which they live is according to the compassionate loving perspectives of Jesus. Thus they adopt a “live and let live” and “love one another” attitude toward people of other faiths. They do not disavow or judge the religious values of others. Compassion being the major value, they are willing to examine the various interpretations and historical context of the Bible and seek the spiritual essence of the “word”. From this perspective contribution is sought to be made. The compassionate spiritualist has often been willing to risk fame or fortune or even their lives in order to contribute in this manner. Problems occur when the discernment between idealism, sentiment, egotistical ambitions, and true compassionate spiritual direction is not clear. Teachings in the world in this perspective include the more “moderate” religious approaches by religious sects, Liberation Theology, and the writings of Emerson, Thoreau, Whitman and others. Foremost in the lives of fundamentalists are the “beliefs” they have adopted and their quest for a heavenly afterlife. These beliefs are based on a literal interpretation of scripture. The Old Testament of the Bible is not seen within the new perspectives of Christ or within spiritual or metaphorical interpretation but literally. Their particular “literal” interpretation is narrowly defined, is seen as either black or white and is considered etched in stone. Historical antecedents in the development of the Bible, possible errors, interpolations, or other interpretations are not considered. Fundamentalists consider themselves the“chosen ones. Thereby only they will inherit heaven. People of other perspectives or religious beliefs are considered condemned and are renounced. Moral behavior is often emphasized but because the underlying spiritual principles behind biblical directives is not considered, and conduct often directed by the egoistical intellect of particular leaders, behavior is often conflicting. Thus the legacy of Catholic or Protestant Christian fundamentalism, or Islamic fundamentalism, has included warfare, inquisition, slavery, cruelty and genocide upon indigenous peoples. Because foremost is a heavenly afterlife and is obtained by”belief” alone, contribution to the world is a lesser issue. Thus democracy, justice, equity among people is often willingly sacrificed for theocratic or oligarchic rule. Fundamentalist perspectives are currently creating great divisions in the Christian and the Islamic world. Zionists hold many of the same perspectives as do fundamentalist. However in their emphasis on “the afterlife” they are willing to hasten its arrival. They believe in an Armageddon, whereby the world will be decimated by disease, plagues, warfare and other catastrophes. They believe this will occur when the lands of Israel become united as one. They further believe, that at that moment Jesus will appear, redeem the “believers," pronounce judgment upon all others, and will cast them into hell. The Zionists consider it acceptable to promote the process by: allowing environmental destruction; by allowing, aiding, and causing warfare in the Middle East; and by the undermining democratic processes in America and the world. The possibility of the lands of Israel coming together by the spiritual unity of all the “tribes” of the region is not considered. The avoidance of catastrophe is not an issue. That Jesus may have fulfilled his mission is not considered. 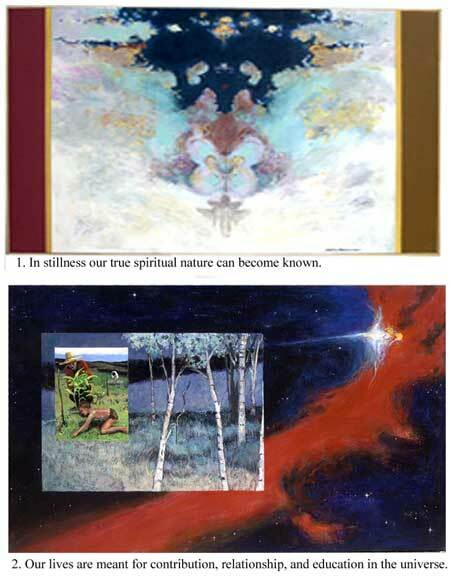 That the “second coming” and redemption may be interpreted as a spiritual one through realization is not considered. Nor are any other interpretations considered. Thereby catastrophes are courted or at best given lackluster consideration. Evangelists who originally contrived this Christian orientation were Cyrus Scofield and Hal Lindsey. The Alien-ated Religionists comprise groups of peoplefor whom the life and Christ has been distorted completely. Christ is not about compassion, contribution, morality, or spiritual union but instead is completely used as a means to power. This distortion has been achieved through the influence upon the mental environment by actual aliens who have intervened within our world for approximately the last fifty years. People who have been most affected are those: that have become completely materialistic and have sworn off all religion and spirituality due to witnessing vast contradictions; those who have not developed the ability to deeply reflect upon spiritual, religious, or moral considerations; and particularly extremist groups. The alien intervention is moving toward making these distortions of Christ, Christianity and all religions permanent. The procedure for this accomplishment includes; the hybridization of humanity; direct manipulation of the leadership by the offerings of greater power; consolidation of world powers; and by creating division and apathy in the populace. The reversal of these directions upon the teachings of Christ and the world can only be achieved through awareness of the intervention, unity, and large numbers of people voicing their awareness and RESISTANCE. Various groups such as HumanSovereignty.org have already begun to form. Thereafter it will be a matter of continued unity and people dedicated to realization of the Spirit within- Knowledge. Spiritual Knowledge, unlike the mind alone, cannot be influenced or corrupted. The main posits regarding the intervention can be found in “Allies of Humanity” by Marshall v. Summers. The book also notes abundant corroborative evidence in the additional resources section. This presentation came about because there are great forces in the world influencing humanity at this time. There are forces creating a greater harmony and contribution; and there are forces creating great strife and destruction. For humanity to create a harmonious world with freedom, greater relationship, contribution, and a spiritual life, many things must be seriously examined and many things reexamined. 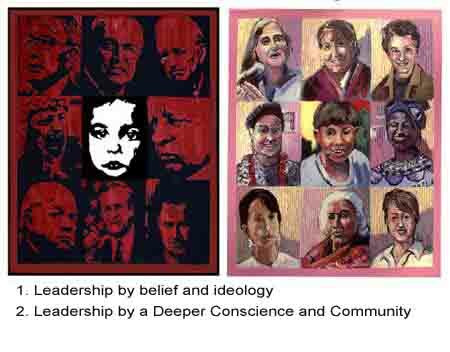 For my part, I am an artist, and I have created many images meant to compare perspectives that I think are critical in the creation of a better world. evidence of an intervention upon earth. Moreover, the posits in Allies of Humanity vol. 1 & 2 bear a chilling resemblance to numerous world events, especially in America. 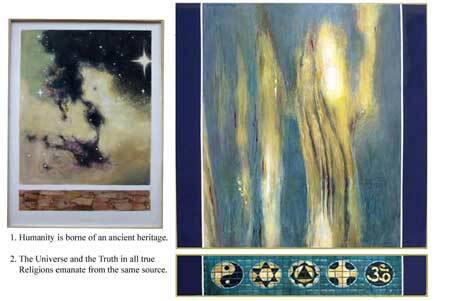 This tryptic would be best shown in a room where the video “Out of the Blue- the definative investigation of the UFO Phenomena” could be shown, and also copies of the book“Allies of Humanity could be available. 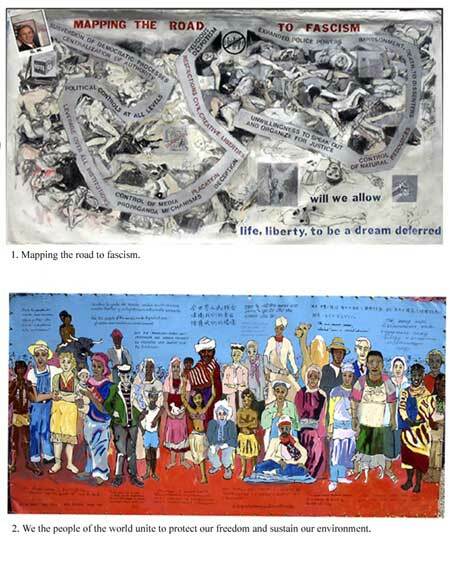 The other provacative image “Mapping the Road to Fascism” could be displayed with an outline copy of details of what has already occurred, and a copy of David Griffins book “The 911 Commission Report, Omissions and Distortions”- (the pinned on photograph of G.W. could be removed if need be). The truth of these images, of an alien intervention, of government directions toward fascism, of this administrations coverup/ and or collusion in 911 events, can only be known through widespread discussion of available research. This will not happen via corporate controlled media. This can, and must be taken up by spiritually concerned citizens who have the courage to examine both from their intellect and from their heart and gut knowings. Hopefully, presentations of these images with corresponding forums will inspire discussions that will ignite the fires of truth, compassion and wisdom across America and this planet! Many prophesies in different religions suggest these are times of tremendous change. My own take on prophesies is that they are "generalized" in that their exact nature depends much on what humanity does as a whole. That, combined with what is currently happening in the world--massive environmental degradation;corporate movement towards a "new world order"; social and religious divisions; and even an "alien" intervention to be considered, makes timeliness and progressive actions rather important in my view. and on a sliding scale determined by the presenter and specific hosts, depending on the group size, travel and shipping costs. The presentation includes the free standing displays of artwork for 2 days; question and answer sessions with the artist; and support in facilitating forum discussions. The art in the presentation itself is not yet for sale, though there will be a small amount of other images for sale. Twenty percent of any sales, or any art commissions will go to the sponsoring host group.